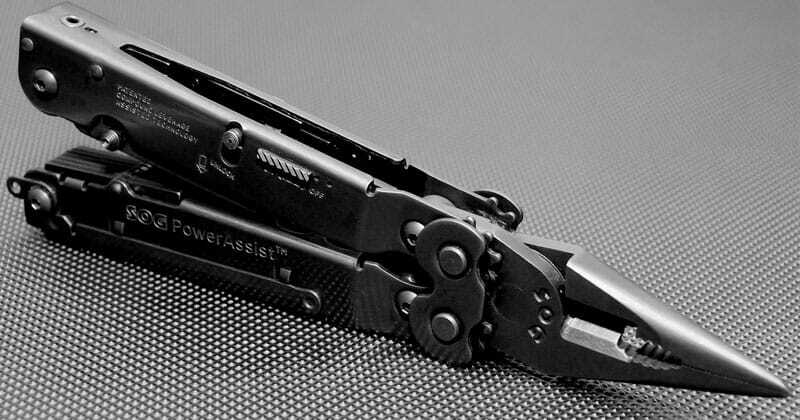 When I was 9, my father gave me my first survival multi tool for Christmas – a Leatherman PST which had 14 tools. I carried it with me wherever I went and made my friends insanely envious. I didn’t realize it at the time but my father was setting me up to become a lifetime survivalist. While I still love that original multi tool I got, I’m not a traditionalist. I know that today’s survival multi tools have come a long way since the original Leatherman. If you are serious about self-reliance, then carrying a multi tool as part of your everyday carry (EDC) is one of the best habits you can get into. Oh, and even decades later, I still enjoy making my friends envious with my cool multi tools. Leatherman Charge ALX Folding 18 8,3oz 4"
Gerber Diesel Folding 15 8.6oz 4.92"
Leatherman Wingman Folding 14 7oz 3.8"
SOG PowerAssist Folding 16 9.6oz 4.6"
Swiss+Tech Micro 19 3.2oz 1.9"
It wasn’t easy for me to narrow down the best survival multi tools to just six. I chose these six because they are quite different from each other in terms of price, size, and functionality. Best For: Survivalists who want a compact multi tool which can actually perform – and aren’t afraid to pay for that quality! This is one of Leatherman’s more expensive survival multi tools, but also one of its best. The design mimics that of a pocket knife so you can actually access many of the tools even when the tool is in closed position. The superior locking mechanism isn’t just for safety – it means that you can actually exert full pressure on the tools without them giving and thus use the tool for bigger jobs. I also love that the multi tool has one-handed opening. Number of Tools: 18 including needlenose pliers, pliers, wire stripper, can opener, bottle opener, bit driver, ruler, diamond-coated file, serrated blade, and more. Best For: Survivalists who need an affordable multi tool capable of handling bigger jobs. 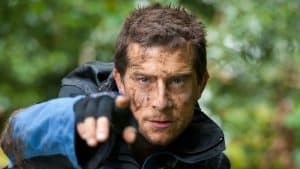 I lost a bit of respect for Gerber when they began marketing crappy Bear Grylls gear. However, this survival multi tool is still a top pick. I particularly like that it has one-handed deployment and is actually tough enough to use for bigger jobs. Of course, that does come with the downside of it being bulkier and heavier. Number of Tools: 15 including blade, needlenose pliers, screwdrivers, a saw, scissors and more. Best For: Survivalists looking for an entry-level survival multi tool. The Leatherman Wingman is one of the most popular survival multi tools by the brand. That doesn’t necessarily mean it is the best though – it is just one of the cheapest Leatherman multi tools you can buy. The Wingman won’t give you the reliability of more expensive Leatherman tools but, for the price, you will still be impressed with what it can do. Number of Tools: 14 including needlenose pliers, wire cutters, scissors, combo knife, screwdriver, and more. Best For: Survivalists who want quick access and heavy-duty tools but also superior safety mechanisms. SOG is one of my favorite brands of affordable survival knives and their multi tools are also top-notch. The PowerAssist uses advanced technology which “takes over for you” to open the knives. The side release ensures that the blades stay closed. Another reason that this is the best multi tool is because it fits really well in your hand and won’t cause strain. Number of Tools: 16 including pliers, blade, serrated blade, bolt grip, bottle opener, can opener, crimper, file, screwdriver, rule, V-cutter and more. Best For: Survivalists who need a tool tiny enough to carry around with them on their keychain. A multi tool is only useful if you actually have it with you. For people who hate lugging around clunky survival tools (or who are already carrying a survival knife and don’t want to load themselves down with another large tool), the Swiss+Tech micro tool is a good option. Even though it is tiny, the keychain-size tool fits in a lot of useful tools suitable for smaller jobs. Number of Tools: 19 including hex wrenches, screwdrivers, pliers, bottle opener, hand drill, files and more. Each person’s needs are very different. You’ve really got to narrow down what your unique needs are in order to figure out what the best tool for you is. With that said, there are some things you always need to look at when choosing a multi tool for survival. 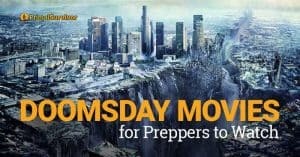 Most of the survival multi tools which made it to the “best” list are of the folding type. This is because these are generally the strongest. However, not everyone can always carry around a bulky folding tool. You might want to consider some other types. 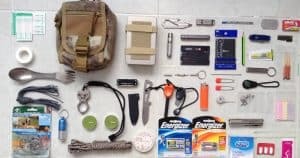 Some of the best survival multi tools have over 20 different tools. Just don’t get caught up in the numbers. Lots of tools does NOT necessarily mean better. Instead, look at the functionality of the multi tool. Does it contain the tools you actually need? I really don’t need 10 different types of screwdrivers when one or two will suffice for my needs. In general, you can look at how long the manufacturer’s warranty is to get an idea of how durable the survival multi tool is. Of course, you’ll still need to take care of your multi tool. Read this post on how to clean a multi tool. The locking mechanism isn’t just about safety. A good locking mechanism means the multi tool will be able to handle tougher jobs because it won’t have as much strain on its pivot point. Just be warned that the best survival multi tools with good locking mechanisms will cost much more. Quality is worth paying for though – especially when it is the difference between actually getting the job done or injuring yourself in the attempt. What do you think is the best survival multi tool? Zowie! I had NO idea how ignorant I was (am?) WRT multitools until I read this article! Ignorance isn’t a bad thing or meant to belittle someone, it just means that you don’t know what you don’t know. And that describes me precisely when talking about these tools. To be fair, I have several multitools. One original Leatherman of OLD vintage but still in excellent shape and giving fine service, a Wave (I think) model which resides inside one of my BOB packs, and a Micro version, name unknown (or how I came to own it for that matter) which resides in my EDC Murse. 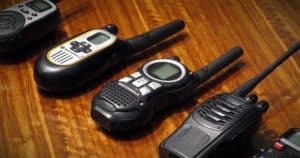 It rarely sees the light of day since I generally have purpose built tools at my disposal should the need arise, but IF I am a out and about and away from my “real” tools, it has worked fine when required. But seeing the balance of the tools you review was eye opening. I had NO idea of the number out there and I suspect you’ve just scratched the surface. Sadly, some of them are CRAZY expensive and of dubious merit or need, UNTIL YOU NEED THEM! Like the version (mfr unknown) that has a Blasting Cap Crimping Tool. Frankly, I don’t recall the last time I needed that feature so why pay for it? I DO remember when I used that feature. I was attached to the department EOD section as their Token Haz/Mat Critter and we were “disposing” of some boom-boom stuff somebody found. Ok. We were Blowing Crap UP from the stockpile of some dirt bag who was blowing up rural mailboxes. But I digress. Anyhoodle, I used the feature for three or four caps IIRC and gave the tool back to the EOD MasterBlaster. Regardless, the number of offerings for multitools is staggering and one could easily bankrupt the Piggy Bank if you bought too many of them. Thanks for the article and reviews. Now I just need to find another “need” to justify buying another multitool. Ha Ha – good stuff! The correct number of multi-tools to own is N+1. Where N = current amount of multi-tools owned. You didn’t mention two of MY favorite tools the Gerber MP400 and the MP600 both military design. I have had a Leatherman super tool for over 20 years. Can’t tell you how many times I’ve used this for me as well as for others that needed help. I have a original Leatherman multi tool plus a Wingman, and a Gerber M-400 in individual BOBs and my GHB stored in the car, along with a Micra on my keychain and Gerber Dime in the car’s center console for EDC use. I tend to use the smaller Micra for opening packages etc. Overall, I have found that most of the time I end up using my trusty Victornox Executive Swiss Army pocketknife daily for small chores. The full size tools don’t get used much. The keychain ones maybe once a week. I also have a Swiss Tech which is just about worthless and has no keychain attachment. I keep that in my tackle box just in case which hasn’t happened since the first time I tried to use it. That’s some collection! Nice roundup of the pros and cons thanks for stopping by.